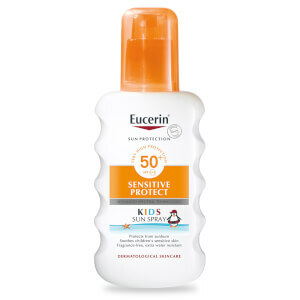 Keep little ones safe in the sun with Ultrasun Very High SPF 50+ Kids Lotion, a high protection sunscreen that defends skin against damaging UVA and UVB rays. The lightweight and non-sticky sunblock melts quickly into skin, using GSP-T for infrared protection and Celligent® to help prevent skin ageing. The waterproof and antioxidant-rich sun lotion is kind to sensitive skin, leaving your little ones safe, healthy and happy. Free from perfumes, silicones, mineral oils, preservatives and emulsifiers. Apply to clean, dry skin 15 minutes before sun exposure. Aqua, Caprylic/Capric Triglyceride, Pentylene Glycol, Methylene Bis-Benzotriazolyl Tetramethylbutylphenol (Nano), Titanium Dioxide (Nano), Ethylhexyl Salicylate, Bis-Ethylhexyloxyphenol Methoxyphenyl Triazine, C12-15 Alkyl Benzoate, Diethylamino Hydroxybenzoyl Hexyl Benzoate, Ethylhexyl Triazone, Glycerin, Squalane, Cocoglycerides, Hydrogenated Phosphatidylcholine, C8-22 Alkyl Acrylates/Methacrylic Acid Crosspolymer, Decyl Glucoside, Silica, Helianthus Annuus Seed Oil, Vitis Vinifera Seed Extract, Polyacrylate Crosspolymer-6, Propyl Alcohol, Cetyl Phosphate, Xanthan Gum, Alcohol, Propylene Glycol, Ethyl Ferulate, Polyglyceryl-5 Trioleate, Rosmarinus Officinalis Leaf Extract, Lecithin, T-Butyl Alcohol, Tocopherol, Tocopheryl Acetate, Ascorbyl Tetraisopalmitate, Disodium Uridine Phosphate, Diisopropyl Adipate, Ubiquinone. Save 20% on Ultrasun. Discount has been applied to the RRP. Offer valid for a limited time only. Save 25% on Eucerin. Discount has been applied to the RRP. Offer valid for a limited time only.